Wiccan Wheel is a companion guide for our journey through the pagan wheel of the year. In our time, more and more of us are drawn to pagan paths, because we desire reconnection with Nature and the Divine. We’ve realized that we are not separate from the world around us; we are part of that “something bigger than ourselves.” We are magical beings. As we connect to our authentic selves, we cannot help but align with the magic of the seasons. Autumn, Winter, Spring, and Summer all have their purposes and their lessons to teach us. The wheel turns and we live out our cycles, each of us on a unique path that is one piece of the divine design. We are all connected, and we all need companionship on our journey. In whatever way, I hope Wiccan Wheel will bring that to you. 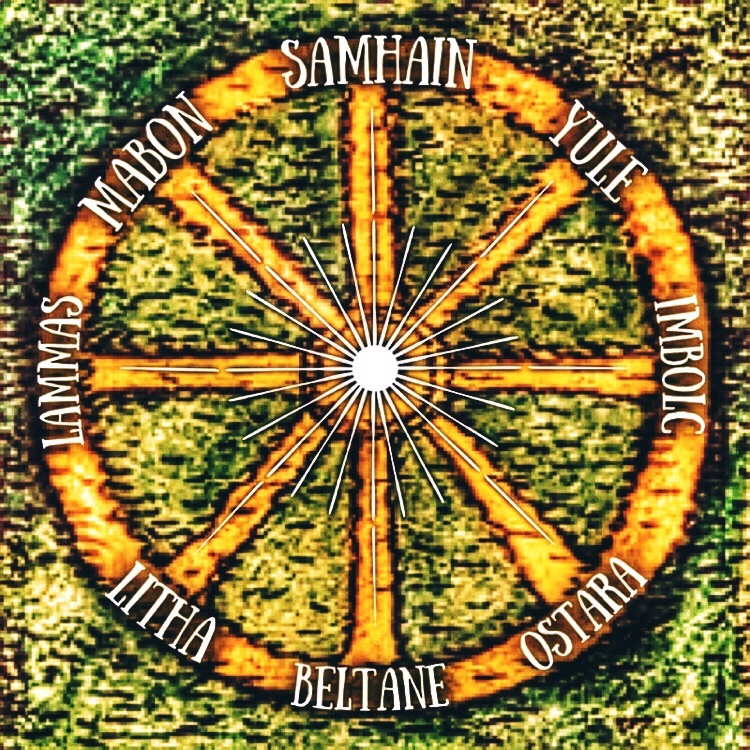 The Wheel of the Year consists of eight Sabbats that honor the natural energies and phases of life and death. The wisdom of the yearly seasons is our guide for dealing with the events we go through in the different seasons of our lives.